One of the features of many Pakistanis is their ability to rise from modest situations to positions of considerable money, power and respect, usually achieved through hard and smart work and a determination to succeed. One of the features of many Pakistanis is their ability to rise from modest situations to positions of considerable money, power and respect, usually achieved through hard and smart work and a determination to succeed. Mr. Khalid Akram Javid is an example of succeeding through diversity and attaining growth through an ability to change. He has managed, throughout his life, to adapt and change as vision required and to develop his faculty of intelligence where he felt they were most appropriate and where they could be most effectively nurtured. His father Mr. Akram Javid arrived in Liverpool, aboard the Anchor Line Ship in 1960, after attending Lasilki Technical Institute in Karachi. He was employed in Oswald Hazeldine Limited, a clothing factory in Stockport, Manchester. Khalid came from Multan to join him in Manchester in 1965 where he went to the local primary school, Plymouth Grove, for a year. In 1966 the family moved to Glasgow, where his father secured employment with Central SMT, as a public service vehicle operator (PSV). In that year Khalid attended Willowbank Primary School, then Garnetbank Primary, leading on to admission at St George�s Road Junior Secondary School. In 1975 he moved to Woodside comprehensive for three years. After finishing his secondary academic education Khalid passed examinations to secure an apprentice in electrical engineering at Govan Shipbuilders. After a short period of time he found the job less challenging. He therefore, left Govan Shipbuilders and returned to academic education at Cardonald College embarking to study further with SCE �O� levels. In 1980 he went to Stow College of Engineering for two years and completed an Ordinary National Diploma (OND) in Mechanical Engineering. By 1982, Khalid graduated from Stow College and due to not securing employment in his academic field; he worked for various employers in the catering trade. In 1983, he again decided to attend further education and entrance was granted at Cardonald College, whilst studying for Scottish National Certificate in Business studies. He furthered his academic qualifications and earned a Higher National Diploma (HND) in Accounting from Glasgow Caledonian University and a further Higher National Certificate (HNC) in Business studies, with a distinction in Business Law. Professionally, he secured employment at the prestigious accountants, Nabi McMullan. The ambitions of Khalid was beyond working for others and in 1990 he embarked his own sole accountancy practice �K A Javid & Co� �from a small office at Holyrood Crescent, Glasgow. 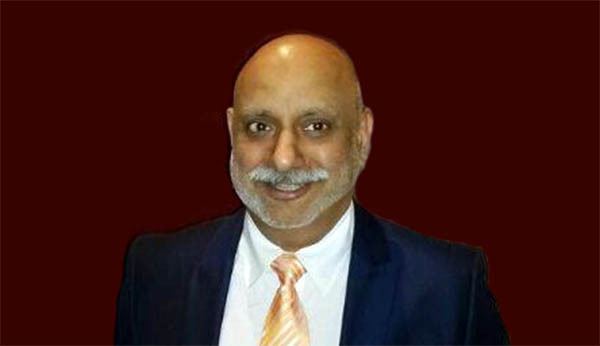 Due to his hard and smart professional workings and his determination to surpass, he established K A JAVID & COMPANY ACCOUNTANTS LIMITED on 14 August 1997, by the year 2005 K A Javid & Co grew and looked to expand for bigger premises, they then moved to Acorn House, 49 Hydepark Street, Glasgow. In addition to his major business activities Khalid is closely involved with the Glasgow Chamber of Commerce, where he is serving as the first Muslim Director in its 300 year history; he has held the office of Secretary for the Federation of Small Businesses; he is also an Ethnic Minority Business Advisor for the Forum of Private Businesses, currently he is serving as President of UK Pakistan Chamber of Commerce and Industry - Scotland Chapter.